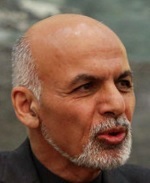 1TV: Afghan President Ashraf Ghani on Friday voiced support for Pashtun Long March, which is organized in Islamabad to protest against authorities’ alleged abuses against the ethnic group. The protest in Islamabad comes after last month Naqeebullah Mehsud, a model was shot in Karachi by police who claimed that he was a militant. Click here to read more (external link).